The French ridesharing startup BlaBlaCar raised $100 million, in July 2014, from a venture capital round led by Index Ventures and joined by other US firms (Accel Partners, Lead Edge Capital) and ISAI of France. The fundraising is likely to value the startup at more than $1 billion. The Parisian startup provides an online matching service for drivers travelling between cities with spare seats in their cars and passengers looking for a cheaper and more sociable journey than travelling by train or coach. The booking can be done on a smartphone using a mobile app. BlaBlaCar is a true sharing-economy community as drivers charge a fee to cover the cost of fuel and other running costs without making a profit. The company has expanded from its headquarters in France into 11 countries including the UK, Germany and Russia. In Germany it surpassed 1 million members one year after launch. In Russia it reached 250,000 members in the first quarter of operation benefiting from popular weekend trips out of Moscow. It has now attracted 8 million members in 12 countries and transports 1 million passengers every month making the company the European leader in long-distance ride-sharing. On a typical 200 mile journey say from London to Manchester, drivers offer seats at £16 (€19 or $26)-much less than a train fare. 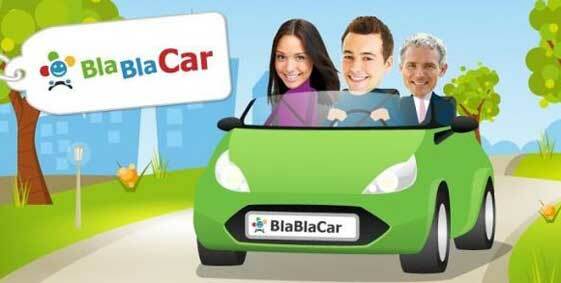 BlaBlaCar takes a 12 per cent commission which is added to the fee each passenger pays. The software engineers at BlaBlaCar have produced a world leading technology platform which is fast, efficient and easy to use. The company encourages peer reviews and gives full member profiles to help create trust and overcome potential clients’ concerns about safety. Members can specify how talkative they feel from “Bla” to “BlaBla” and even chattier to “BlaBlaBla”, hence the name BlaBlaCar. The successful venture round gives the company a treasure chest that it will be able to use to consolidate its position in the countries where it is present, acquire rivals, extend the reach of its model and create a truly global brand. This augurs well for the future of the French Tech industry, showing that it is able to create world stars from a French base.